Production at Triangle Farms varies from hybrids and hand harvested vegetables to several species of flower seed with variant colors. We have experience harvesting two different types of seed off one plant as well as growing several hundred acres of one species of grass seed, grains or herbs. Oregon’s Willamette Valley offers a multitude of fertile soils from which many types of crops can be grown and harvested. The overabundance of these “micro climates” throughout the valley makes Triangle farms unique to the rest of the world in our ability to produce such a variety of high quality crops.  Triangle Farms is a great choice for crop production with an extremely fertile location and years of experience, to name a few reasons. Please take a moment to look over a list of crops we have produced for our customers over the past couple of years. Get a printable PDF version of our list here.